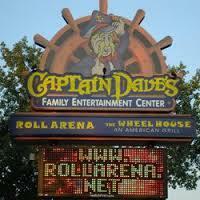 Captain Dave's Family Entertainment Center is home to the Roll Arena and The Wheelhouse Grill. 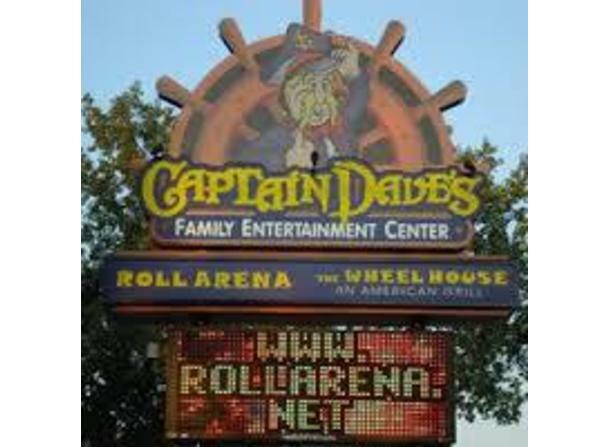 Since 1967, the Roll Arena has housed one of the largest temperature controlled rinks in the Great Lakes Bay Region and was voted by USA Today as one of the top ten roller skating rinks in the United States. We offer full service cafe and house our own skate shop. The Roll Arena offers many public skating sessions or schedule your private party with us today and let us do all the work! Themed around the tastes and styles of Key West, The Wheel House Grill offers a variety of Caribbean and an atmosphere of relaxation in the sun. Visit our full menu online and join us for lunch or dinner Monday thru Saturday. Contact us about hosting your next party.